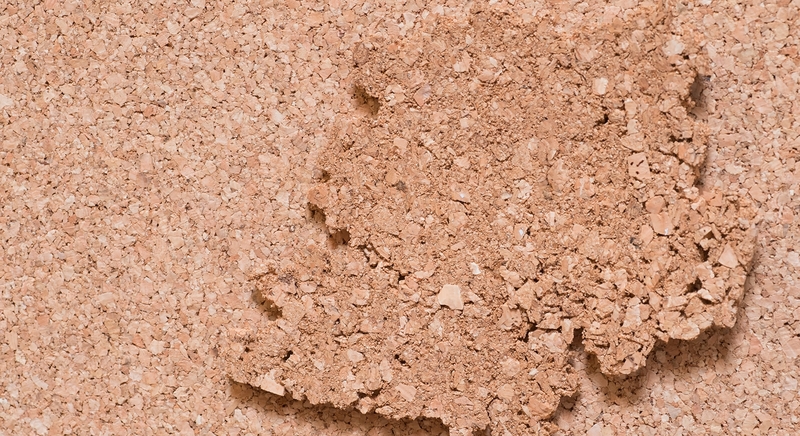 Why choosing cork as a floor covering? Since the beginning of the 2000 years, the cork became trendier in the flooring industry. This is as well at this time that this material went from a glued to a floating installation. The consumers are choosing it, mostly for its comfort and its soundproofing properties. The installation is generally done in kitchens, bedrooms, bathrooms and home theater rooms. This floor covering option brings its own benefits and inconvenients. But why choosing cork anyway? Strongly resistant material, it has been used a lot in the construction of buildings raised in the middle of the 20th century and these buildings still have their original floorings. Spongy and soft, it absorbs the shocks. So, it is ideal for rooms where we have to stand for a while. Or where there is a lot of action as in kids’ bedrooms. The cork sides are made of waxy substances, this material is water resistant. Insulated, the cork allows reaching a better energetic efficiency compared to other materials. Who says energetic efficiency says price reduction. Its insulating property makes the floor more comfortable keeping the feet warm particularly in the basement. Featuring soundproofing characteristics, using it in home theater rooms and condominiums is evidence. Being a fire retardant, this is a safe option for rooms such as kitchen and kids’ bedrooms. Its higher cost compared to other floor covering alternatives. A professional installation is also recommended which increase the bill. The cork can be easily damaged. So, we have to be careful with sharp tools and it may not be the ideal floor covering for houses with pets. Even if it is water resistant, the cork is not as waterproof as ceramic may be. It must be cleaned quickly when liquid spills occurred. The ease of cleaning is also one of its weaknesses as it requires a particular maintenance. Being a natural and eco-friendly material, the choice of colors is limited. Some people pretend that finishing or dying this floor covering may be difficult. However, there are on the market some products compatible with the cork and easy to use. Among these options, the Finitec’s finish line will allow you to protect your floor and give it a shining luster. No matter your choice, keep in mind that any floor covering option has its strengths and weakness. The important is to make sure to choose the one that will fit your needs.